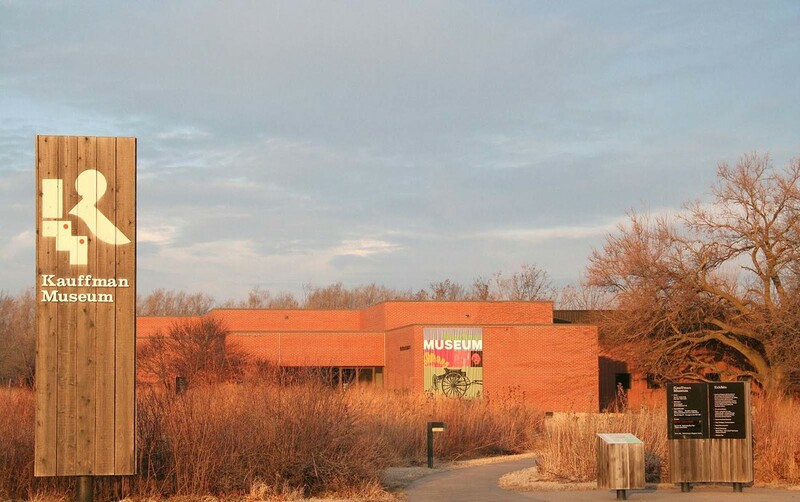 Kauffman Museum at Bethel College is a natural and cultural history museum that explores the immigration experiences of those who settled south-central Kansas with a particular emphasis on the story of the Mennonites. The museum's 4.5 acre site includes an interpretation building, a tallgrass prairie reconstruction, a heritage flower/vegetable/herb garden, and historic farmstead with barn, frame house with adobe wall, and outbuildings. The last Saturday in January the entire 4.5 acre site comes alive with demonstrations, performances, and activities as we celebrate the day Kansas became a state. This annual celebration regularly draws 600-1000 visitors to the museum.